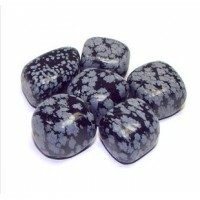 Intensifies natural empathic and psychic abilities. 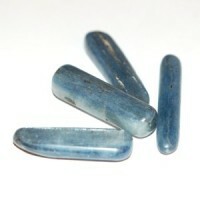 Provides a stabilizing and calming influence. Resonates with Archangel Raguel, the angel of harmony and seeing all sides to situations. 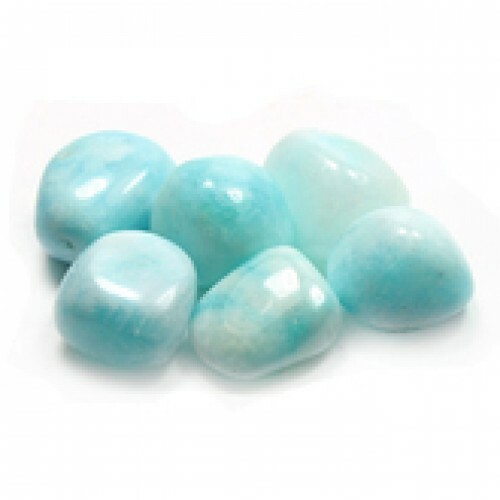 Aids angelic connection and brings healing to the throat and thymus chakras. Boosts self-confidence and feelings of self worth. 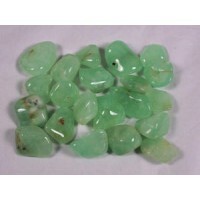 Prehnite tumbled crystal Linked to the Solar Plexus and Heart chakras it opens the doors of communi..
Kyanite Blue tumbled crystal 1/2 inch tumbled chips - perfect for laying on third-eye and throat in..
Snowflake Obsidian tumbled crystal Snowflake Obsidian is black Obsidian with white markings t..